Cameron the lion at Big Cat Rescue, Tampa, FL. When I first had my eyes opened to the Machine, my first reaction was one of hopelessness: This problem is huge! How am I supposed to do anything about it? The easiest thing to do, if you want to help but don’t know where to start, is to support a group which is already doing what you want to do. 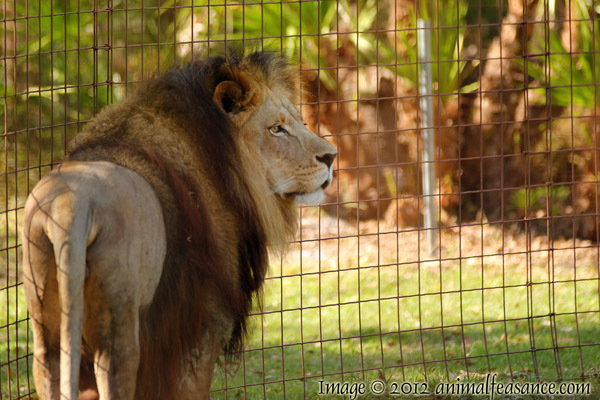 If you like exotic cats and the idea of people keeping these animals as “pets” — often chained in basements, locked in miniscule cages, fed inappropriate diets, declawed and even defanged to make them “safer” to keep — is anathema to you, then you may wish to lend your support to Big Cat Rescue in Tampa, Florida. They have been working to protect big cats since the mid-nineties. 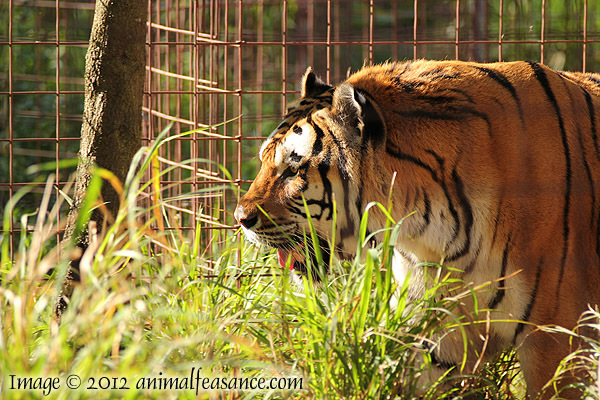 Alex the tiger at Big Cat Rescue, Tampa, FL. I recently got a chance to visit their facility and was extremely impressed. They have excellent credentials, an enlightened, realistic and positive outlook, and their staff and volunteers are dedicated and intelligent. Like all animal facilities, Big Cat Rescue has made some errors, but they are open and honest about them and are working to learn from them and improve. 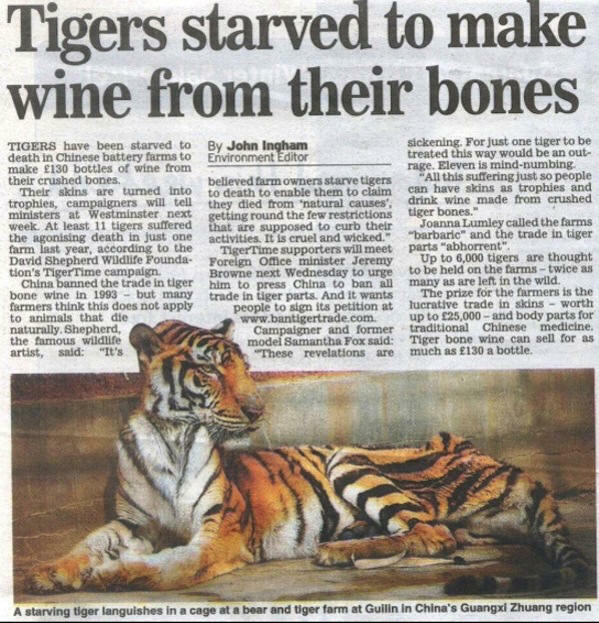 These are good people, providing rescue for large cats as well as public education, especially for children, which is (I believe) the primary mechanism by which we will eventually be able to change the world. 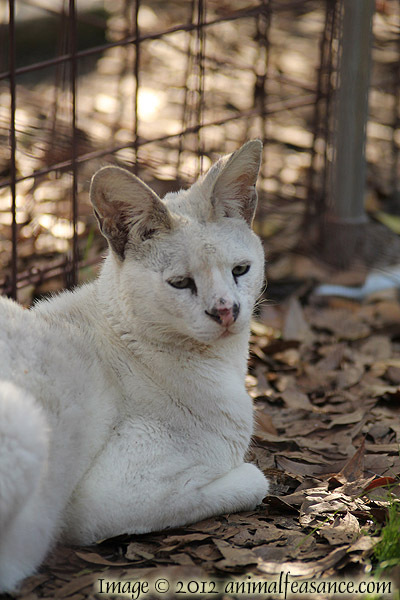 Tonga, a rare white serval, at Big Cat Rescue, Tampa, FL. They do not breed, buy, sell, or even unnecessarily interact with their animals. Those cats who do not like humans are kept in areas where tour groups will not bother them. They don’t sell “picture yourself with a tiger”-type photo opportunities (although they do have excellent photography opportunities without having you in with the cats) and they don’t take the cats to schools — although having a live animal helps to get people interested in your talk, it can send absolutely the wrong messages about keeping exotic cats as pets. The human staff really are at the service of the cats, and it shows. This place is wonderful, it’s well-run, and it’s worth some support. They have an excellent selection of YouTube videos if you’d like to visit virtually, and of course the images in this post were taken there. Can’t donate money? There are a lot of other ways you can help out! Don’t like big cats? There’s probably another organization in your area that can use your help. The Machine is a damned big and scary thing, but: a) every little bit helps, and b) working together we can take that mother down. Happy thoughts!